In August of 2016, bright green and pink boxes started to pop up around Ankeny. 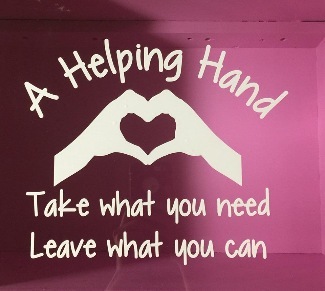 A group in the community called “A Helping Hand” started the effort. The goal is to fill the boxes with non-perishable food and personal hygiene items so that people in need can access them easily and anytime. This is a great family project. One hour of service for Silver Cord students will be available for each week the student serves in this way. This is an expansion of our growing ministry to those who are hungry in this world. We invite you to make it part of your way of following Christ. Fill the box on the Des Moines St. side of the south parking lot.